I recently wrote about Comet Ping-Pong, our neighborhood pizzeria serving wonderful individual pies with fresh, interesting flavors. It got me thinking about neighborhood pizza places of my youth, which served far simpler pizzas in a more laid-back atmosphere. Not that Comet isn't laid back, but there's definitely a sense that it's "trying" to be a casual place. It's a pizza place with a schtick. Arcuri is similar and comparatively simpler. Like Comet, Arcuri serves tasty individually sized pizzas with fresh ingredients reflecting a modern sensibility. Unlike Comet, there's no "theme." It's just a pizza place (or rather a pizza plus place, since their menu has quite a bit more going on too), and quite a good one at that. It's the perfect place to spend a weekend couple hours with a few pies and a good beer. The Smokey pizza is an easy choice. 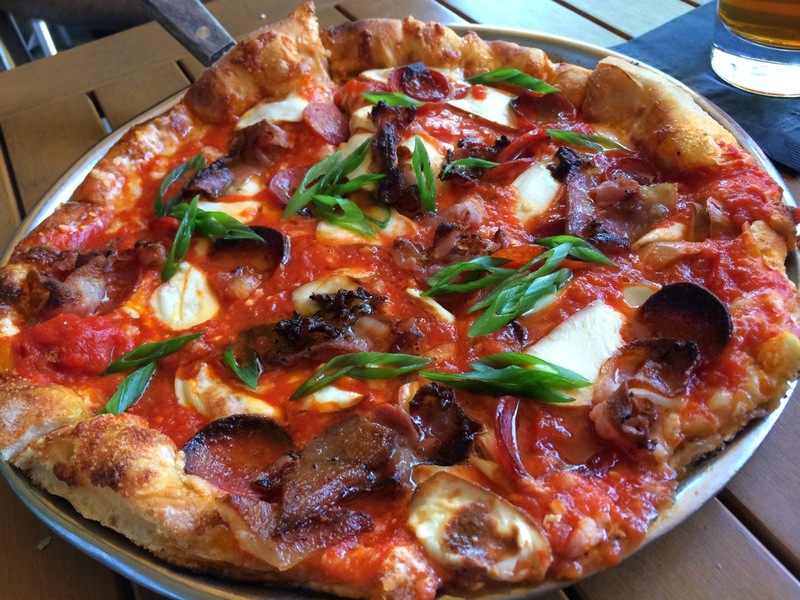 Pepperoni is a classic American topping, but Arcuri ups the ante with guanciale, smoked mozzarella and a sprinkling of scallions to add a bit of freshness among the smoky toppings. As much as I like it, I was even more captivated by the Gorgonzola, topped with the pungent Italian blue cheese, apples, speck (another Italian cured meat) and a bracing drizzle of balsamic vinegar. I often shy away from "white" pizzas, afraid I'll miss the tomato sauce, but the Gorgonzola is an inviting combination of flavors I definitely recommend. Arcuri's menu is much broader than just pizza, although I'll admit I like their pizza so much that I didn't feel compelled to explore much. 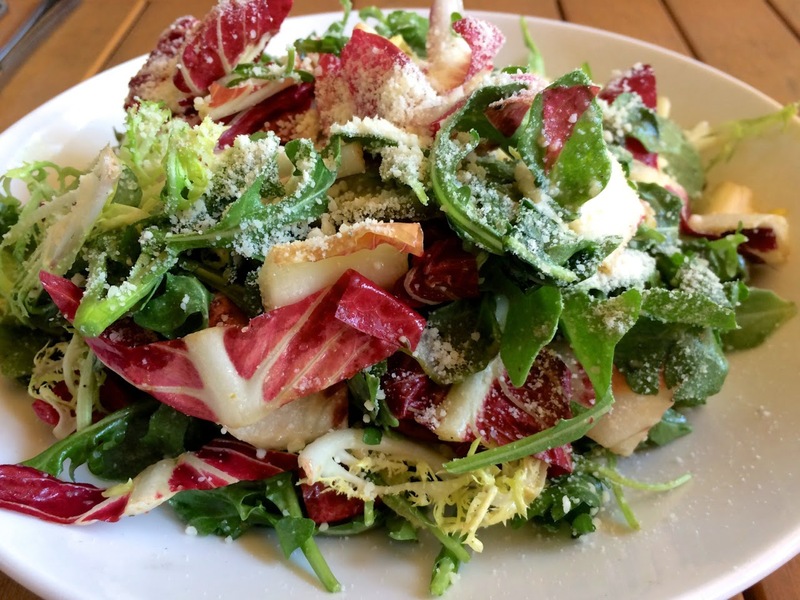 We did recently try a salad, although the menu advertised a salad with apples, pecans and dried cherries, what arrived was a mix of bitter greens like arugula, frisée and radicchio--more of an insalata mista and a better flavor profile for this time of year. Arcuri's menu also features a number of pastas at lunch and dinner, and additional dinner selections such as roast chicken and pork chops. 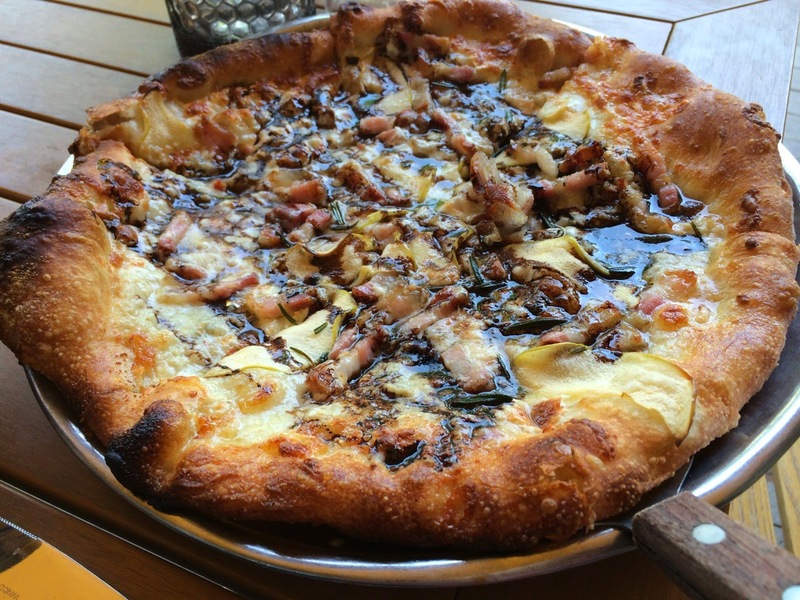 While brick-oven pizza might not fit your vision of a "classic" neighborhood pizzeria fare, the relaxed and friendly vibe of Arcuri fits it to a tee. Perhaps my nostalgia for the pizza of my youth really does belong in the past--it's quite likely I'd take a bite of that old-style pizza and think "huh, not that great after all." A place like Arcuri that serves a better-grade product but in a no-fuss atmosphere is really the best of both worlds. 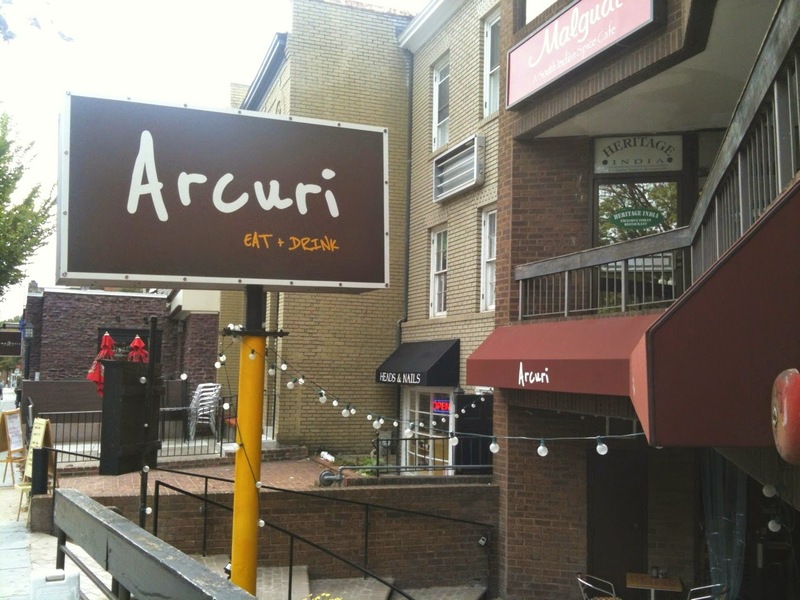 Arcuri, 2400 Wisconsin Avenue NW, Washington, D.C. (Glover Park). (202) 827-8745. Reservations: Open Table. Nice review! Growing up, we got most of our pizzas from Pizza Hut. I'm pretty sure I wouldn't like one of those pies if I ate one today. Thank goodness places like Arcuri have come along.